Do you enjoy being with young people? Are you keen to help them develop? Do you love books or get excited by working with numbers? If the answer to these questions is YES and you have a few hours a week to spare then why not join our school’s project. Don’t be put off by the prospect of it being time consuming. 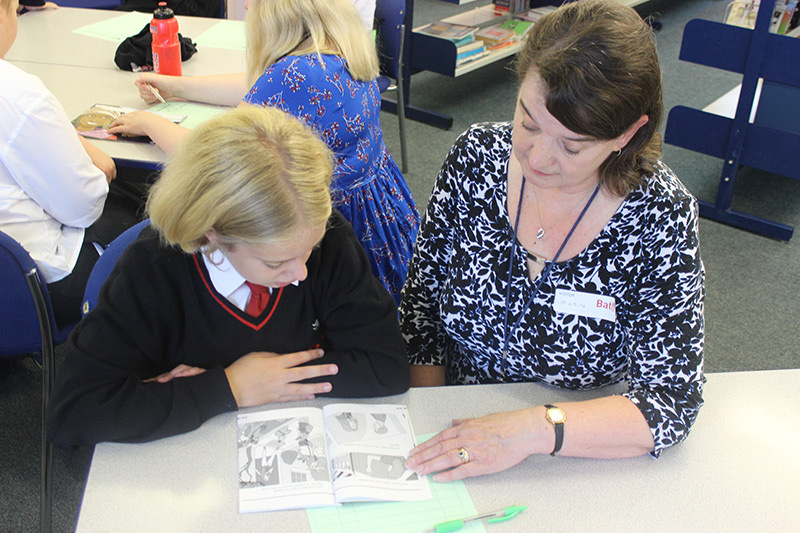 Our volunteers are in schools in BANES, Bristol, South Gloucestershire and North Somerset working with pupils on a one to one basis supporting them with reading or number work. Volunteers receive Training and a Handbook and are supported by RSVP organisers who find them local schools and are there to answer any queries. "I am so happy at Uphill School and have been made very welcome and one of the team. Cannot believe it is nearly 5 years that I have been there. to see them improve so much is very rewarding. Our schools are appreciative too and welcome the support our volunteers offer. or for more information read our leaflet.